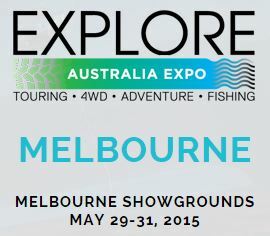 Savwinch will be exhibiting at this years Explore Australia Expo – Melbourne. Come and see us at the Fishing and Marine Hall, Stand F36. This is a great opportunity for you if you’re thinking of purchasing a winch and have a bucket load of questions or want to see one in action. Nick the business owner will be there supported by his senior team to answer your questions and give you more insight into our Savwinch range. There will also be on display all the accessories that compliment our Savwinch range. Come and say G’day!